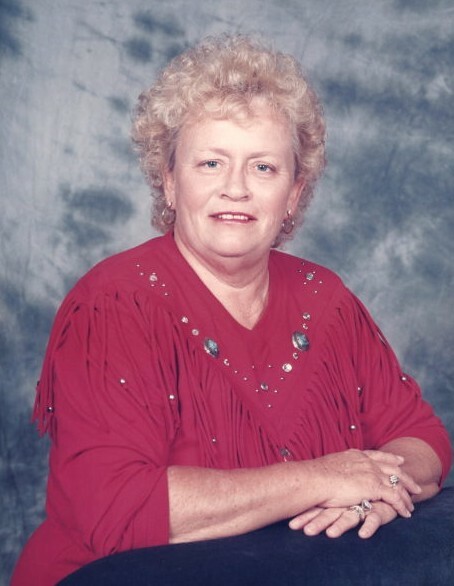 Nobles Funeral Home and Crematory announces the funeral services for Mrs. Waunell “Nell” Carter Mann, age 74, who passed away Sunday, March 31, 2019 at Community Hospice in Vidalia. She was a lifelong resident of Appling County and a retired child caregiver for over 20 years lovingly known by all her children as Meme. Mrs. Mann as a member of Red Oak Baptist Church and a loving mother to all. She was preceded in death by her husband, Clayton Mann; two grandchildren, Kylie Faith Taylor and Tater Taylor and parents, Alton and Mae Johnson Carter. Survivors include five daughters, Kay Taylor and husband Wayne, Shelia Mann, Vicki Mann, Brandy M. Switzer and husband Joseph and Bethany Stipe all of Baxley; six grandchildren, Chad Mann, Kasey Taylor, Amanda Jo Terrell, Jacob Mann, Elijah Switzer and Mason Switzer; six great grandchildren, Emily Mann, Kelsey Taylor, Briley Haggard, Brayden Herrington, Garrett Gunter and Greyson Terrell; one sister, Willene Davidson of Montrose, CO and a host of nieces and nephews. Funeral services will be held Wednesday, April 3, 2019 at 3pm at Nobles Funeral Home Chapel with the Reverend Tommy Daniels officiating. Interment will follow in the Omega Cemetery. Visitation will be held one hour prior to the funeral service at the funeral home. Active Pallbearers will be Joseph Switzer, Anthony Pearce, Mason Terrell, Ross Norton, Marcus Cauley and Adam Gruber. Honorary pallbearers will be all the children that knew her as Meme, Lynn Stipe and family, Joann Switzer, Anthony and Victoria Pearce and family and all friends and family in attendance. Nobles Funeral Home and Crematory is honored to serve the family of Mrs. Waunell “Nell” Carter Mann.